After graduating in Anthropology(Master), Philosophy and Archaeology (BD) at the famous Sorbonne University of Paris, Geneviève d'Angenstein spent many years living in different parts of the world- Europe, the Middle-East, the USA and Asia. There, she was involved with all kinds of social environments: the business community, intellectuals, artists and interest clubs with whom she initiated a variety of cultural activities. Her knowledge of etiquette and courtesy does not stem from an academic approach since it originates from a long family tradition, through attending prestigious colleges and through years spent in the diplomatic corps. This experience makes her the best possible adviser for teaching French and International Savoir-Vivre. Growing up steeped in Tradition, Geneviève d'Angenstein is however, fully involved in modernity and the International Life of the 21st Century. She is the author of Le Savoir-vivre est un jeu edited in Librio Flammarion November 2012. 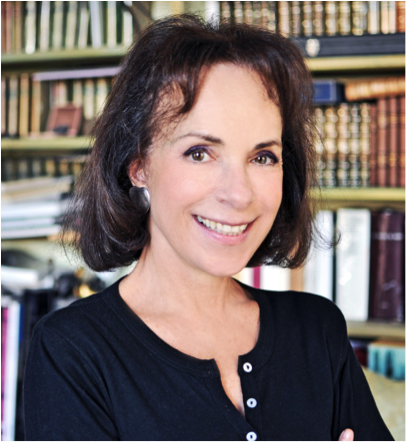 Member of the prestigious International Women's Forum (IWF), Geneviève d'Angenstein is member of jury of the Prix du Livre du Savoir Vivre parisien, awarded at the famous Fouquet's on the Champs Elysées.